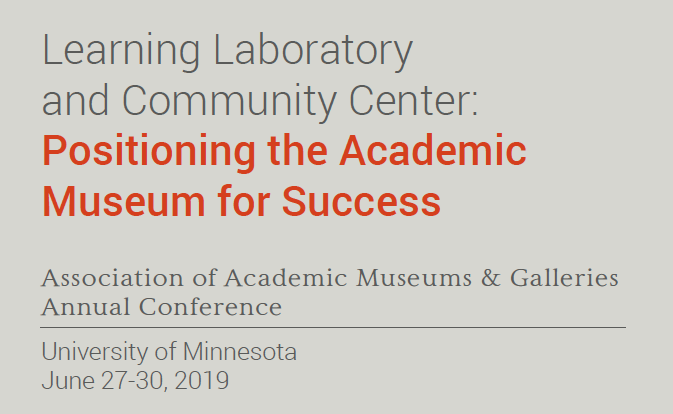 We hope you will consider joining over 300 of your academic museum colleagues this summer for our 2-1/2 day conference program. Early bird registration, the conference program, as well as hotel and travel information, can be found on our website under the “Annual Conference” menu. Please note: AAMG institutional and individual members will need to login with their username and password to be eligible for the $280 early bird rate. The special member rate is available now through April 15. If you have difficulty with logging in to your account, click here to reset your password or contact info@aamg-us.org. See you this summer in Minneapolis!